We had a late night last night and I didn't get up until 6:15 AM. That threw me off this morning's very tight schedule. By the time I went outside, my window for running was only 40 minutes. It was sunny and bright and I was glad to see that the roads were clear and runnable. This was somewhat surprising, since the temperatures were hovering around the freezing mark. When I started the Garmin it looked like it would acquire a signal right away. Despite the clear skies, it took almost eight minutes before it finally locked in all the NAVSTAR satellites. This narrowed my running window down to 32 minutes. I'd watched the progress bar go almost to full, only to pull back to the middle. I had considered heading back inside to run on the treadmill, but I ended up waiting it out. I set off on a rapid pace to help ensure that I'd make my minimum distance of three miles. A slight wind made the first half mile a little chilly, but it disappeared at the first turn. 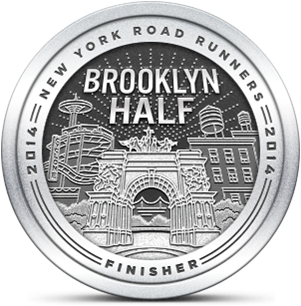 I felt fairly strong and figured I could maintain a low 9:00 pace without much trouble. I chose a set of roads that I expected would get me around the neighborhood and back in three miles and I ended up covering 3.14. It was an invigorating run and I made it back home a with a few minutes to spare. 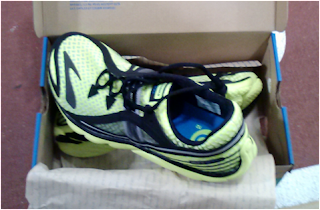 While we were out this afternoon, I had the opportunity to satisfy my curiosity about two pairs of running shoes that I've wanted to try. 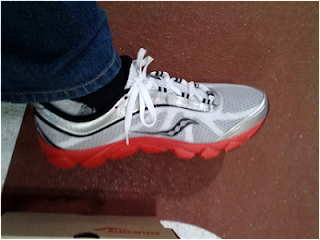 I put on a pair of Brooks Pure Drifts that were one-half size up from the ones I'd tested for Brooks. My biggest criticism of the pre-production Drifts was the tightness on my toes on the lateral side. The toe box on the production shoes felt roomier, but I felt some ridging from the mid-sole on that side. 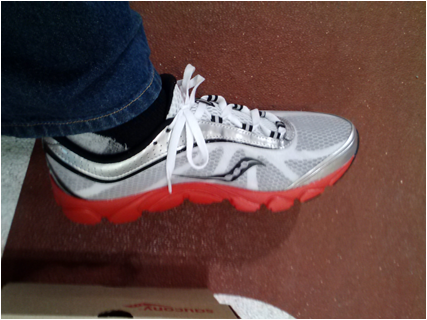 The other pair I tried was the new Saucony Virrata, a zero drop trainer with a surprising amount of cushioning. The shoe reminded me of the original Kinvara, but with even better response on toe-off. The shoes fit perfectly and I wanted to them on the spot. I decided to wait it out a little longer as my Kinvaras still have some life left in them. My verdict on the two was that I'd run in the new Pure Drifts if I had them, but I would still want to compare them further with the NB Minimus, the newest Hattori and, just for fun, the INOV-8 Road X-Treme. The Virrata is another story. It's not a question of if I'd buy them, only when I'll do it. I'm hoping that the Kinvaras will last me another 100-150 miles. But if the stability of those shoes changes sooner, I'll be going Virrata shopping that day. 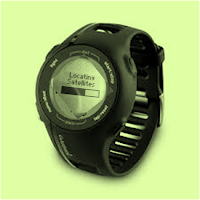 I sent my garmin back for not being able to acquire a signal for 24 hours at a time. It started out just like you reported. One minute, than 5 minutes.. at one point I took it in the car with me while I was driving all over doing home care one day, just to see if it would get a signal at different locations. Nada. That's crazy you had to wait around for a signal! Aren't they expensive too? I was on the fence about getting one in the future, but this makes me lean more toward no. Nice 5k this morning! 6:15 is late for you?? Yikes! My general wake up time is 5:30. I'm definitely a morning person! Tomorrow I have a friend coming by at 7:00 AM (it 's going to feel like 6:00 AM due to DST) for a run. GPS watches have really come down in price. I think Soleus has one for $79.99. The FR 210 collects a lot of data and captures a map of where I ran. The only downside is the occasional wait to acquire a signal.